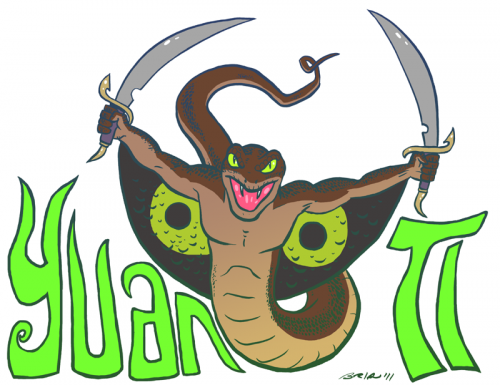 Th Yuan Ti are a race of snake-like people that appear as part serpent, part human. I didn’t really see them in action until the video game Icewind Dale which was pretty good, but no Baldur’s Gate. I like your interpretation here, with the cobra hood “wings”. I never liked the art in Monster Manual II. Interesting choice too — I was all set for it to be a Yeti, since I thought you were using the original Monster Manual only.